Smart. Elegant. Beautiful. These are just some of the most common words that come to watch fans’ lips when describing a Sturhling timepiece. Hand-assembled, each Sturhling timepiece embodies the slogan of its workshops: ‘Quality is never an accident. It is always the result of intelligent effort.’ Judging by the design of these watches and their blending of classical elements, great materials, and overall look, you can rest assured that if you choose a Stuhrling chronometer, you are buying a great watch at a great value. There’s something to be said about Stuhrling’s ability to produce high-quality good-looking watches at very accessible and budget-friendly prices. It is obvious that this watch brand is all about providing the highest value at very friendly prices. Given these trying economic times, this is definitely a very welcome philosophy from a watch company. 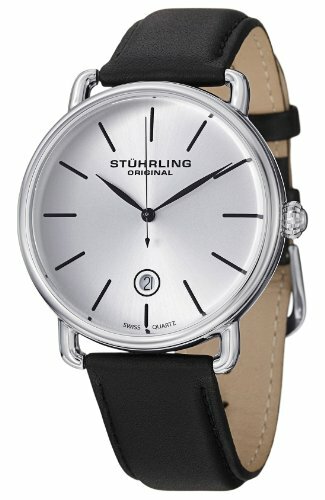 Stuhrling employs a very stringent manufacturing process for its watches. Unlike other brands which look and feel like they rolled off a fast-moving assembly line, Stuhrling makes it a point to emphasize that it uses a multi-point assembly system. Quality control is built into the process. In fact, it uses a 30 checkpoint system to ensure that each watch its workshops produce meet high quality standards. These checkpoints are found in all stages of the manufacturing process. This attention to detail is definitely on display with the Stuhrling Original Men’s 768.01 Classic Ascot Agent watch. Oozing the easy charm and class of yesteryear, the Agent watch looks great in a wide variety of settings. Whether you are a student studying at the library, a tech company staffer enjoying the after hours at a local bar, or a busy sales professional, the Stuhrling Original Men’s 768.01 Classic Ascot Agent watch is both casual and elegant. It is so versatile that it fits a so many different contexts and settings. The ‘retro’ look of this watch is so refreshing. It has a lot of class and elegance without coming off as stuffy or elitist. Thanks to its wide face and great face design, this watch looks great in a wide variety of settings and makes for a great conversation piece. It gives off the signal that the wearer is a person of class but doesn’t feel the need he or she has to broadcast that fact to the rest of the room. While many ‘purists’ would take the Stuhrling Original Men’s 768.01 Classic Ascot Agent for its quartz movement, you have to look at this feature based on the context of the probable use of the Agent watch. 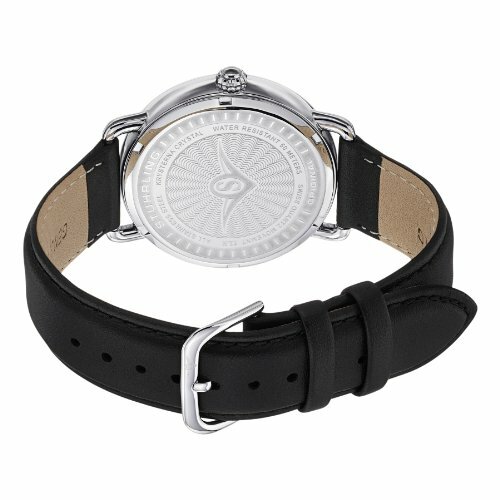 People who would wear this watch need something elegant, classy, and good-looking without having to worry about winding it up. They are on the go, and they need an understated watch that can keep up. Considering the great design of this watch as well as its craftsmanship, it is no small surprise to know that it costs less than $100. The crystal dial window of this time piece is a great touch. Such a choice fits the ‘conversation piece’ orientation of this watch. It looks great at its face and when you look closer, you’re in for a treat. If you are looking for a smart elegant watch that looks great and won’t break the bank, you should definitely consider this model. It is light and versatile and goes well with a wide variety of outfits.